1 Place the chocolate a glass bowl, on a saucepan of water (insuring the water does not touch the bottom the bowl), on a medium heat. 2 Occasionally stirring, when the chocolate is melted remove from the heat stir it all together and set aside for 5 minutes. 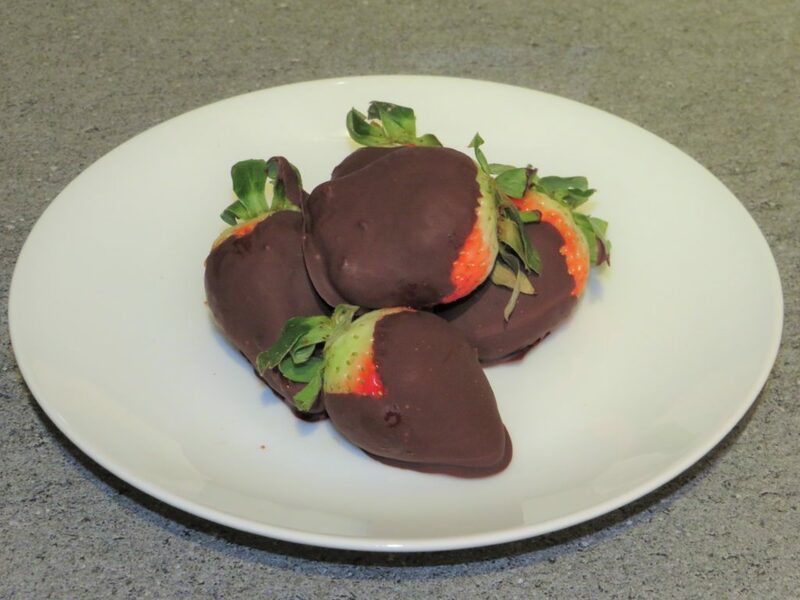 3 Using your fingers hold the green leaves of the strawberry dip it into the melted chocolate, then place on a plate covered in grease proof paper. 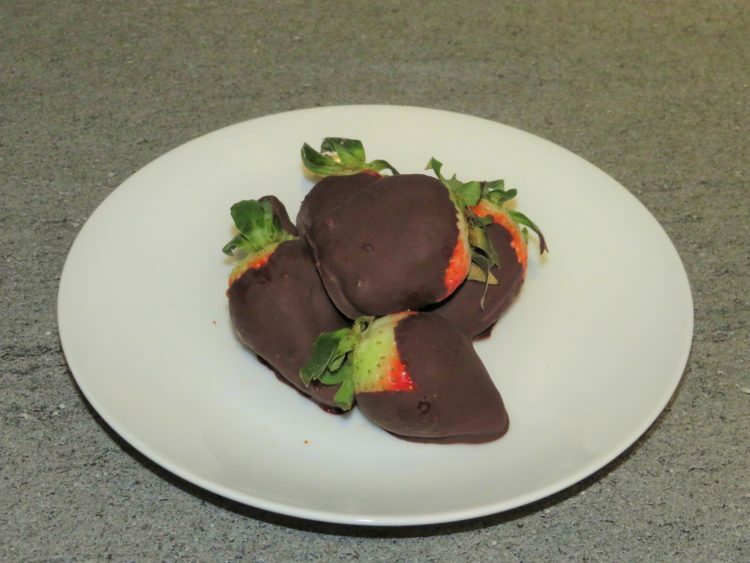 When then all the strawberries are covered place the plate in the fridge for the chocolate to set. 4 After 10 minutes there are ready to enjoy at your leisure. Strawberries are rich in health promoting vitamins and minerals that are essential for optimum health and a regular intake can protect against cancer, aging, inflammation and neurological diseases. They excellent source vitamin-A, vitamin-C, vitamin-E, B-complex vitamins, potassium, manganese, fluorine, copper and iron.